In this case, I'd like to return 12/04/2018 for Tim, and 16/09/2019 for Sally. The dates are Events!A and the names are Events!D for what it's worth. 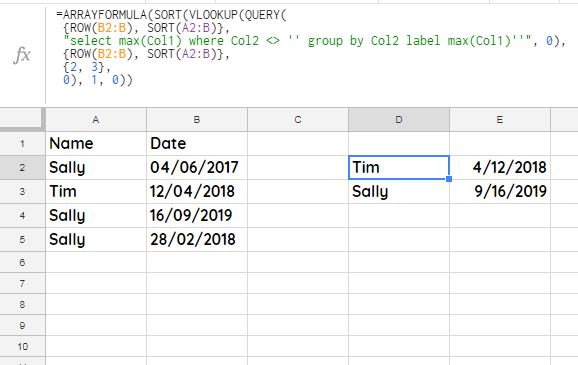 Is there a way to count how many entries in a given column have a particular value?